At GTC 2018 in San Jose, California, AI developers from all over the world come to demo their work. One of those developers at the conference is a Canadian-based startup that developed a real-time deep learning software platform that can read body language from standard video. 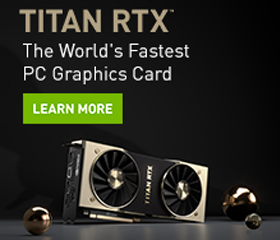 Wrnch, a Mark Cuban-backed startup, and a member of the NVIDIA Inception program, was founded by Dr. Paul Kruszewski in 2015. The team uses NVIDIA Tesla V100 GPUs and the TensorRT inference optimizer for its AI engine. 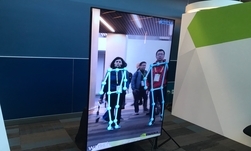 At GTC, using an off-the-shelf Logitech webcam, the team has set-up a demo that can track and capture human motion without the use of special cameras, bodysuits or sensors. Dr. Kruszweski explained that his AI system can potentially be used to recognize accidents at home or in the workplace, helping autonomous vehicles read human intent, and even improving interactions between humans and robots. The startup’s deep learning software is currently in use in AR, VR, human-robot interaction, and motion capture applications. “Every camera on the planet can be taught to read human body language to make life safer, healthier and more fun,” Kruszweski said.